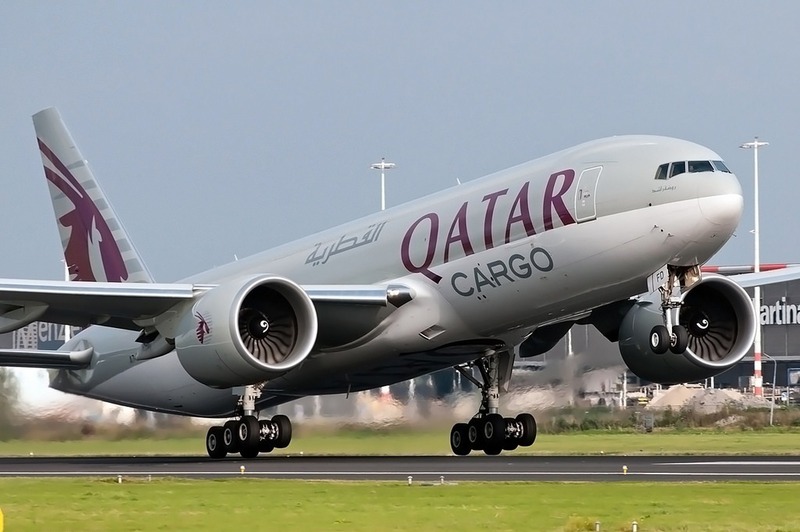 Qatar Airways will operate five B777F flights a week between Hong Kong and London, via Doha, on behalf of IAG Cargo, providing continuity of service for IAG Cargo customers. Akbar Al Baker, CEO of Qatar Airways, commented: “Qatar Airways is pleased to be furthering our relationship with IAG Cargo. The growth in the cargo market has fuelled Qatar Airways’ massive expansion in this business and this exchange with IAG Cargo allows us both to deliver optimal level of service, convenience and flexibility to our worldwide cargo customers. Hong Kong is a key market on our route map, and so we have continually made investments in the capacity operating on the route. A new Durban-based cargo airline, Khuphuka Kings Airways, has suddenly appeared on the radar and has secured a deal with Dube TradePort to start scheduled cargo flights from King Shaka International Airport to Lubumbashi in the Democratic Republic of Congo from next month. Dube TradePort made the announcement yesterday and said the airline was part of the Khuphuka Investment Holdings group, headed by Dr Musa Mdluli. It said in a statement that the new route would include a stop-over in Ndola province, which was part of the copper-rich mining belt in Zambia. The airline would use three cargo aircraft, including two ILyushin 76 and one Antonov AN12, which have a cargo capacity of 46 and 20 tonnes, respectively. Dube TradePort said Khuphuka Kings Airways would initially commence operations in the cargo field, but plans were in the pipeline to also introduce passenger aircraft to the route and later expand into Africa. There is very little information on Khuphuka Investment Holdings and its chairman, Mdluli, who founded the company in 1998. An online search revealed only one of his trading companies, Khuphuka Tours, a tour operator and exhibitions business. But, speaking to The Mercury yesterday, Mdluli said he was a medical doctor and had been involved in business for years. “Khuphuka has interests in the oil and gas sector, medical supply industry and in tourism…This air cargo venture has been more than three years in the making and is an extension of our business interests. We are looking to export various types of cargo between the DRC and South Africa, including general merchandise, food and even mining equipment,” he said. Saxen van Coller, chief executive of Dube TradePort, said the launch of the new cargo route would increase connectivity between Durban and central Africa, assisting in the generation of “economic efficiencies” for the local business community. Since initially pitching the idea, Mdluli said the company had been inundated with requests from freight forwarders and their clients. It is estimated that up to 85 percent of KwaZulu-Natal based companies, with goods destined for Africa, currently delivered their airfreight to Joburg by road for flights from OR Tambo International Airport. Durban Chamber chief executive, Andrew Layman, said if the new cargo airline proved to be a viable venture, it was “good news” for Africa. “Access to other African markets is a big issue for both local and international companies,” he said. Jan. 22--Tehran and Beijing plan to launch a cargo airline, Chinese Ambassador to Tehran, Yu Hongyang, said on Jan. 22, the Iranian Tadbir24 News Website reported. "The two countries' private sectors will jointly create the airline," he said. "A Chinese company has proposed launching the airlines to an Iranian company and the two sides have agreed to carry out the projects," Yu Hongyang said. "The two countries' private sectors can also launch a special shipping line," he added. Iran is currently China's third largest supplier of crude, providing Beijing with roughly 12 percent of its total annual oil consumption, the Fars News Agency reported on Jan. 21. China plans to purchase 240,000 barrels per day (bpd) of crude oil from its main supplier, Iran, this year. Beijing also more than doubled its crude oil imports from Iran in November 2013 month-on-month. The depressed cargo market is the major concern of the Asia-Pacific airlines as the sector makes up a significant part of their business, says IATA director general Tony Tyler. Tyler says that cargo growth has “pretty much flat-lined” for the past couple of years, which has been “a big problem” for airlines in the Asia-Pacific region. IATA figures show that the global air cargo business grew at just 1.4% during 2013 compared with a 5.2% rise in passenger traffic. The Asia-Pacific carriers suffered a 1% decline compared with 2012 while capacity grew by 0.8%. Pearce says that although there have been concerns around a transport mode change for cargo from air to ocean by some traditional high value goods such as semiconductors, there is no evidence that this has been the main cause of the recent weakness in air cargo. “The principal problem is that world trade has been weak and we’re not seeing the export and import growth that we would normally have seen as economic activity picks up,” he adds. World trade had been growing at 6-8% before the financial crisis, but is currently around 3%. The medium term trade growth outlook is around 4.5% “which is muted, although better than the last few years”, says Pearce. One market that appears to have been immune to the cargo slump is the Middle East. The region’s airlines enjoyed 12.8% growth last year as they benefited from improving economic conditions in Europe, solid growth in domestic economies and captured a significant share of the increasing African business. Lufthansa Cargo, the air freight arm of Germany's largest airline, aims to set up a partnership with an airline outside of the Lufthansa Group by the middle of this year ahead of further cooperation deals, it said on Tuesday. Karl Ulrich Garnadt, CEO of Lufthansa Cargo, said the aim of such partnerships would be to increase the number of routes and destinations Lufthansa Cargo could offer while helping to cut costs by taking advantage of the partner's logistics handling facilities, for example. "We are in talks with more than one airline, a second partnership should follow in 2015," Garnadt said. Air freight companies are coming under increased price pressure because of a growing number of passenger services carrying cargo in the belly of the aircraft. With Middle Eastern airlines in particular expanding routes fast, that has put prices under pressure and forced some airlines, such as British Airways and Air France to scale back their own use of freighters. Industry body IATA revised up its forecasts for global cargo demand to 4 percent growth for this year, but said yields would fall 1.5 percent. Lufthansa Cargo presented its annual report on Tuesday and Garnadt said that yields at the company had stabilised at the end of last year, but that it was difficult to make any forecasts beyond that. Any partnership between Lufthansa Cargo and another airline needs to be approved by antitrust authorities before it is announced, he said. Garnadt, who will become CEO of Lufthansa's passenger airline business in May, has experience of a similar partnership during a previous stint at the passenger unit. A joint venture with United and Air Canada, called Atlantic Plus Plus, was set up to enable the airlines to coordinate schedules and pricing on transatlantic routes. "What works in the passenger business should also work in cargo, even though it is more difficult to set up," he told Reuters. Lufthansa Cargo reported a 2013 operating result of 77 million euros, a 27 percent fall on 2012 and below what it had expected at the start of 2013, Garnadt said. Revenue fell 9.2 percent to 2.44 billion euros. The company said it hoped to increase the amount of goods it carries by 5 percent this year and significantly improve operating profit. In the summer, when travel peaks, Lufthansa Cargo transports over 50 percent of its freight in the bellies of Lufthansa passenger aircraft. Garnadt said having the flexibility to mix freighters and belly capacity was key to survival in the present market. "Those with only freighter capacity will have tough times ahead," he told Reuters. It will be flying four new Boeing 777F freighters this year. Rather than expanding its fleet, they will be used to replace four MD-11s. Garnadt said that two of those MD-11s had been sold but two would be kept in reserve in case demand picked up. The two MD-11s will also be needed in the coming years after Lufthansa decided to postpone a decision on whether to firm up an option for the first of what could be a further five 777Fs. Postponing the decision means any new 777F plane will only now be delivered in 2017 at the earliest, instead of 2016.